Artist unknown (although it’s likely Vince Colletta.) 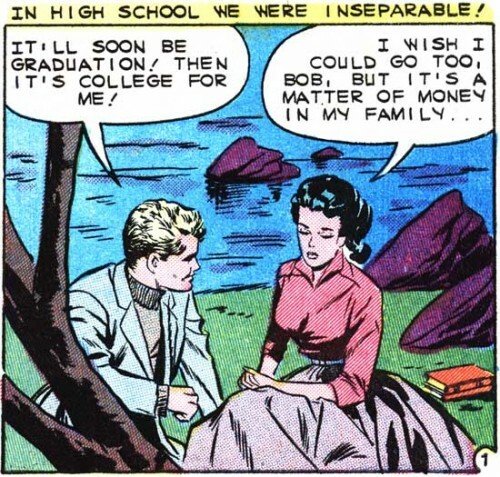 From the story “You Can Never Tell” in FIRST KISS #10, 1959. We were inseparable! Then I went off to college and married someone else. But I never forgot…uh, What’s Her Name? With the wasp-like waist and that chest, she should be able to work her way through college.